The Milwaukee Bucks current three game home series will conclude on Friday with a visit from Linsanity. That's right, the Milwaukee Bucks will host the New York Knicks this Friday at 7:30 PM. 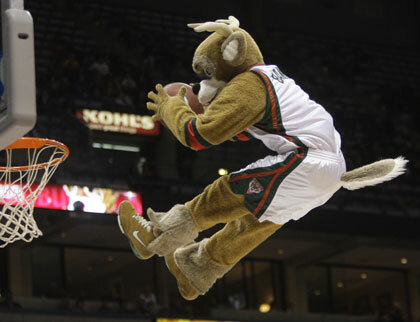 Get your Milwaukee Bucks tickets and cheer the Bucks on to victory. Do the Milwaukee Bucks have what it takes to squelch Linsanity for once and for all? It seems that the Bucks have a good momentum going. They pulled off an impressive win Monday night over the Philadelphia 76ers (bonus: Aaron Rodgers was in attendance). Tonight, the Bucks host the Chicago Bulls. The Bucks have not had the best look with the Bulls in recent times, but that could all change tonight. If you decide to go to Friday's Bucks vs. Knicks game, remember that you can pick up your tickets from our will call booth at Major Goolsby's one hour prior to the game. Go Bucks!